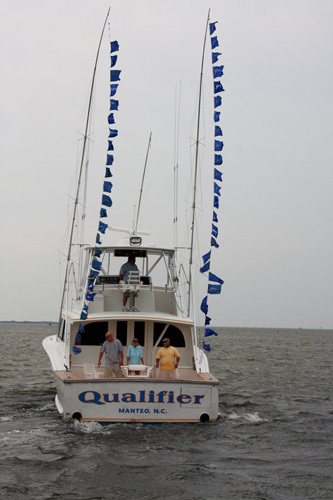 The Billfish Foundation Named Fin Gaddy aboard QUALIFIER the Paul Mann Custom 56-foot splashed in December 2009 was named top overall Captain worldwide for both catch and release and tagging billfish. Fin and his team aboard QUALIFIER set the top sailfish catch and release and tag record among all Atlantic captains. Hats off to the Fin Gaddy and QUALIFIER!